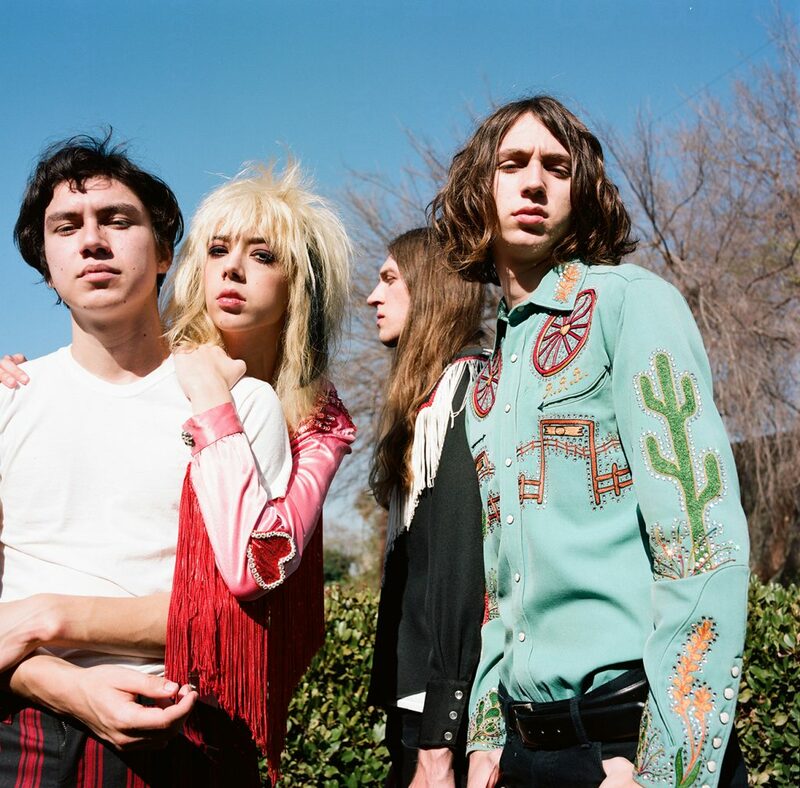 Starcrawler photo credit: Autumn de Wilde. FEMMUSIC: Can you describe your songwriting technique? How does a song form within the band? Arrow: I don’t know about a technique. We’re not painting a landscape. We just write the songs as they come. 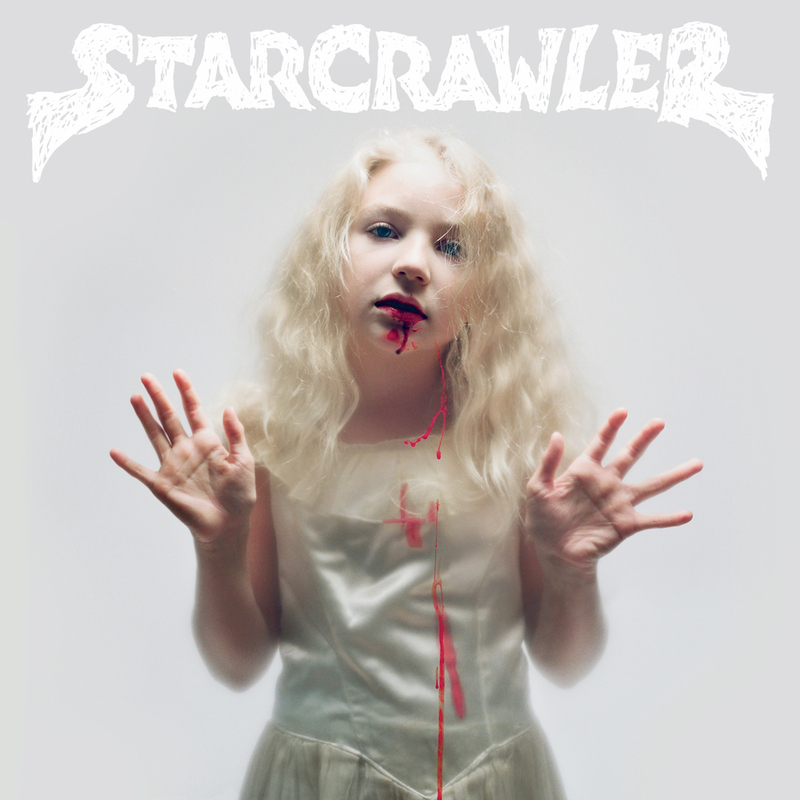 Austin: How a Starcrawler song forms is usually Henri comes up with a riff and a melody. Then when we rehearse we start to work out what we all like and don’t like. From there the skeleton of a starcrawler track forms. FEMMUSIC: What was the biggest challenge making your self-titled record? Arrow: Probably worrying about every single detail, trying to make it perfect. And also coming up with an album name. Which we obviously couldn’t do. Austin: Never feeling like its done was creeping in the back of my mind quite often. Like is this not polished enough? Or is it too polished? Should we add more should we take out more? I felt a wave of relief once it was released cause after it’s all done I was happy with all aspects of the record . FEMMUSIC: What made you sign with Rough Trade? What benefits do you see in signing with a label? Arrow: Rough Trade was like my dream label. I think they are one of the coolest ones around and they have an amazing history of bands. And we love everyone who works at the label. It just felt right. I’m very grateful. Austin: Well we all had liked bands that were with RT both of the past and currently. Also they were the kindest label we had met with at the time. It was a easy choice for us to choose such a progressive and forward label. FEMMUSIC: How was it working with Ryan Adams in the studio? What did he bring to the project? Arrow: Amazing. I love Ryan. He is one of the most creative and spontaneous people I’ve ever met. He has so many ideas and all of them are so brilliant. Austin: Working with Ryan was a good experience in understanding how to flex ones creative muscles. Always allowing us to try things and not thinking any idea was too outlandish or absurd. The one key fact he unearthed in all of us was simplicity. Keeping things easy and taking out the complexities that no one really cares for. FEMMUSIC: Your live shows have caused a stir. How did you develop your stage show both individually and with the band? What is the hardest part of the stage show for you? Why? Arrow: A lot of planning, but a lot of it also came naturally and in spur of the moment. I’m not exactly sure what the hardest part is, however that’s also not something I’m keen to reveal. Austin: Well Arrow from the beginning when it was just her and I (Austin). She had ideas about having a truly visual show and once we have a full band these ideas came to fruition. FEMMUSIC: What song, not your own, has had the biggest impact on you and why? Arrow: There isn’t one song. I don’t really believe in having one favorite thing because that just doesn’t make sense to me. I would never be able to listen to one song for the rest of my life and I don’t think anyone would. You would end up hating the song. But to answer the question, the album ‘Blizzard of Ozz’ by Ozzy Osbourne made me want to start making music and performing. Arrow: I’ve been discriminated against like anyone in this business. I don’t know if it has to do with me being a woman, maybe it has. But I don’t really like to think of myself as a woman because that makes me sound too grown up or something. Sometimes people will have problems with what I do, but that’s exactly why I do it. If every single person in the world loved everything, there would be nothing to fight for or rebel against. And that’s what rock and roll is all about. Austin: Mall Grab or Theo Parrish. Arrow: Bring back the money. Austin: Changing the idea that radio play matters. I think that some of the music that’s impacted my life the most have been artists that generally weren’t allowed/not given radio play. Also fitting the radios format provides such boundaries for artists that I think when someone’s goal is to make radio friendly music, they are limited in what they can create.